TABLET PRESS MANUFACTURER IN INDIA. We are the largest making “Tablet Press” Manufacturers from India.Our mission is to provide turnkey solutions to quality conscious global clients. We have approved list of vendors who will manufacture Tablet Press and Tableting Equipments Allied Machines as per our standards & specifications. We help our vendors to improve technology and product features. We pride ourselves on consistently applying due diligence, high standards & excellent understanding of the value of methodology. 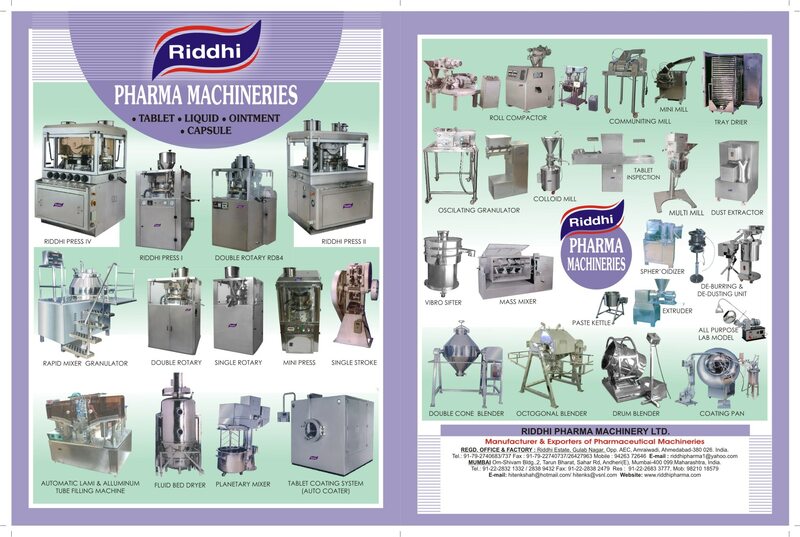 MANUFACTURER OF TABLET PRESS IN INDIA. We are the largest making “Tablet Press” Manufacturers from India.Our mission is to provide turnkey solutions to quality conscious global clients. We have approved list of vendors who will manufacture Tablet Press and Tableting Equipments Allied Machines as per our standards & specifications. We help our vendors to improve technology and product features. We pride ourselves on consistently applying due diligence, high standards & excellent understanding of the value of methodology.